Unusual petite late blooming daffodil. Daffodil Hawera is smaller than the well known daffodils. Blooms in light, lemon-yellow flowers in late spring. 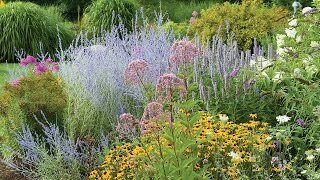 With its little, starry blooms it is an attention magnet in front of the perennial border. Late spring bloom. Bulb size: 12 cm. Because your bulbs will probably be left where you plant them for several years, good soil preparation is highly desirable. Daffodils grow best in full sun in a light, well-drained soil enriched with organic matter. Loose, crumbly soil beneath a bulb encourages good growth and promotes drainage; it is a good idea to prepare the soil at least a few inches deeper than the recommended planting depth. Check the proposed site for standing water after a rainfall. If you must plant where the soil is known to remain wet, raise the soil level by 6-12 inches above the surrounding soil. It is a good idea to add fertilizer, such as bonemeal, when you prepare the soil. Be sure to mix the fertilizer into the soil so it does not come into direct contact with the bulbs. The general rule for planting is to cover the bulb with soil to 3 times its vertical diameter. In very cold climates, or where the soil is very light and sandy, plant a little deeper. In heavy soils, or in areas with a high water table, plant slightly more shallowly. Plant all bulbs of a kind, when grouped together, at the same depth so they will bloom at the same time and attain the same height. 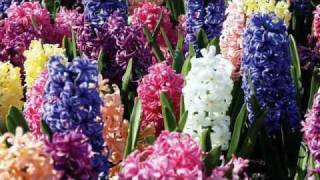 For planting clumps of bulbs in beds and borders, dig a hole large enough to hold all the bulbs in one group or drift. Set them upright at the bottom of the hole, tops up (pointed side up), and space properly. Press the bulbs into the soil and cover with the prepared soil to the recommended depth. You can also use a trowel to dig individual holes. Daffodils should be planted 6-8 inches deep, 4-6 inches apart. After planting water thoroughly to settle the soil and to encourage the start of root growth. Sufficient moisture is vital to the health of your bulbs; lacking ample rain, it may be necessary to water new plantings once a week in fall. The roots will continue to grow in fall until the soil freezes. Be sure to mark where you planted your bulbs so you know where they are in spring. Add 1-3 inches of mulch for winter protection after the ground freezes. Flower bulbs also require watering after blooming, while the foliage is ripening. Water weekly if conditions are dry. In spring after flowering do not cut the foliage off; the foliage is part of the perennial growth cycle. Allow it to die back naturally. Do not braid daffodil foliage, allow maximum exposure of the green plant part to the sun. Dig up and separate daffodils after several years if blooming becomes sparse. Daffodil, Hawera is rated 4.0 out of 5 by 1. Rated 4 out of 5 by pentemeyer from Tiny...you have no idea... Exquisite, very, very small daffodils. Will do well grouped together.